We have a good opportunity in the next few months to compare two very different crime novels coming out of Brazil: Luiz Alfredo Garcia-Roza’s Alone in the Crowd (translated by Benjamin Moser and published by Henry Holt), published recently, and Leighton Gage’s Dying Gasp (written in English and published in late 09 or early 10 by SoHo Crime). Though there are a number of similarities, the books could hardly be more different. Both Garcia-Roza’s Chief Espinosa (chief of a precinct in Rio near the city’s famous beaches) and Gage’s Chief Inspector Mario Silva (of the Federal Police and based in Brasilia) work with a small number of trusted detectives within the context of a corrupt police force aned a violent society. In each series, a considerable amount of the narrative is focused in the chief inspector, though in this case we get a bit more of Espinoa (whose childhood is related to the case at hand in Alone in the Crowd) and by contrast a bit less of Silva (who seems almost peripheral to the story in Dying Gasp). Gage’s novel takes on political and social issues and Garcia-Roza’s is occupied with psychological and philosophical matters. 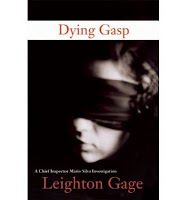 Gage has given us a thriller dealing with human trafficking, child prostitution, and snuff films, as well as the near-total corruption of the local police in an Amazonian town: all big subjects portrayed in very violent, even lurid tones (though the act of violence toward which the whole story has been leading is offstage, as if to spare the reader this final obscenity). Both novels feature a central conflict that relates to homosexuality among women, as a personal issue in Alone in the Crowd and as a topic of shame and discrimination in Dying Gasp. Even the detectives’ personal lives provide a vivid contrast: Espinosa confronts a situation that threatens his easy weekend relationship with long-standing lover Irene; the tragedy of Silva’s family (several of whom have been murdered and his wife left an alcoholic wreck) a constant background for the violence of the society and the current story. 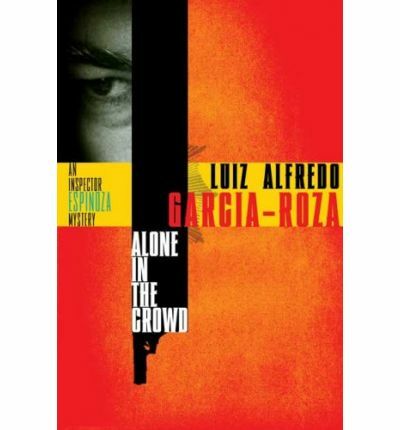 Garcia-Roza offers a portrait of personal crimes (rather like those of Manuel Vazquez Montalban, whose late work is cited in Alone in the Crowd) flowing from the personality and life-history of a character from Espinosa’s past. Dying Gasp moves quickly toward the resolution not only of the prositution-and-snuff plot but also a loose thread from the first Silva novel. Alone in the Crowd moves slowly, as the suspect ruminates on his love of walking in the middle of the city’s crowds and the detective puzzles over the crime, the suspect, and forgotten incidents of childhood. Garcia-Roza is working at a slight, philosophical distance from the violent streets and favela-slums that are Gage’s main target. Gage’s epigraph, from Job, explains the books title, but his postscript is more helpful, giving statistics backing up his portrait of child prostitution and offering a claim of reality to counter the commonly held opinion that snuff films are an urban legend; his aim here and elsewhere in the Silva series is to give us some sense of the overwhelming problems of contemporary Brazil—an aim in which he succeeds admirably. Garcia-Roza’s epigraphs are from Poe and German philosopher-critic (and Holocaust victim) Walter Benjamin, regarding the essence of crime and the crime novel, indication of his intellectual aims, very sympathetically and successfully realized here and in the series as a whole. The epigraph from Benjamin is particularly interesting for both novels: “The original social content of the crime novel is every individual’s loss of bearings amid the big-city crowd.” Garcia-Roza explores that alienation through the lens of his characters, while Gage gives us a vivid image of the violent, ultimate cases of loss in the cities and towns of a culture divided against itself in rich and poor, civil and criminal, principled and ruthless, and altogether unreconcilable populations (perhaps an image of post-apocalyptic anarchy already existing in the favelas, jungles, and brothels of Brazil). Espinosa (whose name derives from that of a classic philosopher) has the privilege of pursuing small-scale, personal crimes and meditating on their meaning, with the favelas held at some distance, only briefly mentioned; Silva deals with big issues and large-scale crimes that give little hope or time for considerations of human nature other than in terms of its violent extremes. We are certainly privileged to have in English these very different angles on a Brazilian “social content of the crime novel” (as well as the very different crime fiction of Patricia Melo), and perhaps we need both in order to have some chance of understanding that culture, in its realities, potentials, and dangers. Thank you for your (as ever) thoughtful review. International Noir Fiction continues to be one of my favorite places on the WWW.